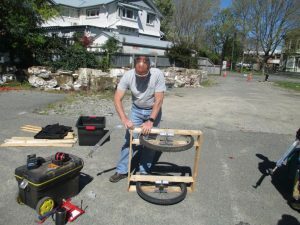 On Saturday 6th October Steve Muir ran a workshop where fourteen people constructed a bike trailer using up-cycled pallets for the frame, with Steve’s locally made aluminium towbar, dropouts and steel quick release hitch. 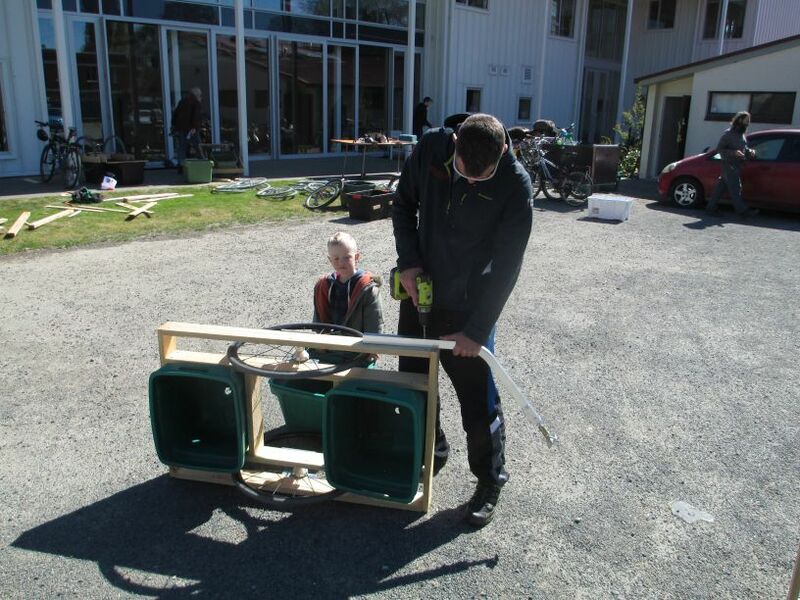 The workshop was run in conjunction with A Rocha, a Christian conservation organisation who had a conference the previous weekend encouraging people to take the responsibility of caring for the planet more seriously. 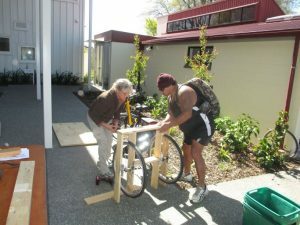 A big thanks goes to Oxford Terrace Baptist Church for providing the venue, Placemakers for the glue and screws, Ground Effect for subsidising the costs to make it super-affordable, Frank PKS for lots of the pallets, and RAD bikes for some of the bike wheels. 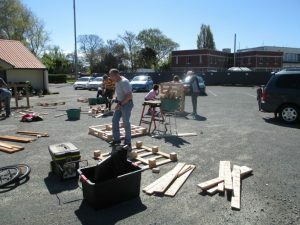 Participants had varying levels of woodwork skills but all successfully managed to deconstruct the pallet, cut the wood to the correct lengths and construct a strong wooden trailer frame. 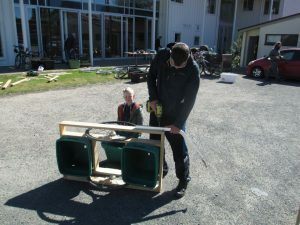 Frames were mostly sized to suit old recycling crates which are very convenient to carry loads in. 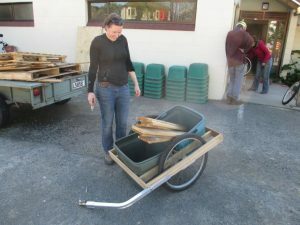 The wheels, towbar and hitch were then attached and test rides enjoyed. 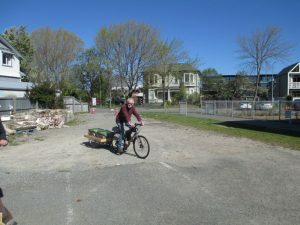 Steve had been collecting old 20 and 24 inch bike & wheelchair wheels (with threaded rod as an axle) for many months before the workshop and had a good selection available. 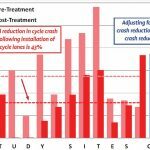 Average construction time was about three hours, although the most complicated trailer took a while in the planning phase and was completed in five hours. Everyone thoroughly enjoyed the afternoon including the refreshments for afternoon tea. 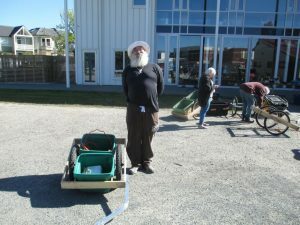 Two more people couldn’t make it on the day and will complete their trailers in their own time. 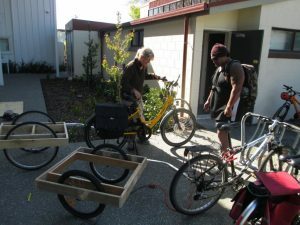 Wooden trailer kitsets can be purchased any time from Steve, and he also has a wide range of custom built aluminium trailers and cargo bikes available at www.cycletrailers.co.nz.